Happy Sunday, everyone! I hope you are all having a great weekend. We are enjoying the beautiful weather and spending the day outside. I wanted to share my latest design team project from SVG Cuts. I created a great birthday gift set using the card from the Hugs and Kisses SVG Kit. 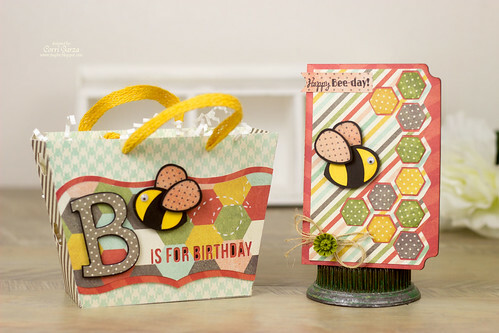 And the gift bag from the B is for Birthday SVG Kit. 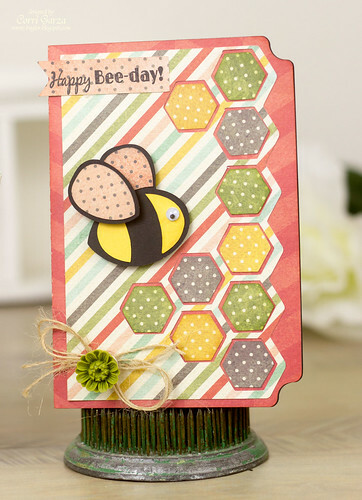 This set would be perfect for a Spring birthday and love how perfectly this paper from Fancy Pants fits the set. Love your creations. That bee is adorable and great colors!! !